Hillary Clinton has revealed her new memoir title and, guess what, people have problems with it. Hillary Clinton, the woman who won the popular vote in the 2016 Presidential election, has written a memoir scheduled to be released September 12. The book is aptly titled What Happened? According to a release from the publisher Simon & Schuster, the book will cover what it was like for Clinton to run against Donald Trump. It'll also detail the "shocking and devastating loss" Clinton endured, and how she "found the strength to pick herself back up afterward." In the book's introduction, Clinton writes, “In the past, for reasons I try to explain, I’ve often felt I had to be careful in public, like I was up on a wire without a net. Now I’m letting my guard down.” Oh yeah, Hillary's about to get real. People on Twitter joked about the book, of course. Some were into it. "What Happened" is just the words "Hi mostly entrenched misogyny & then Subaru owners wanted ineffectual grandpa so we split & Putin won." Others used the book as yet another excuse to mock Clinton. Hillary's new book #WhatHappened is going to detail how she spent over $1 billion, still lost the election and how it's not her fault. “What Happened” is you are the sort of person who thought publishing a book called “What Happened” was a good idea. That’s what happened. You want to know "What Happened?" Clinton spoke at a conference in May in Rancho Palos Verdes, California, where she said, “I take responsibility for every decision I made, but that’s not why I lost." 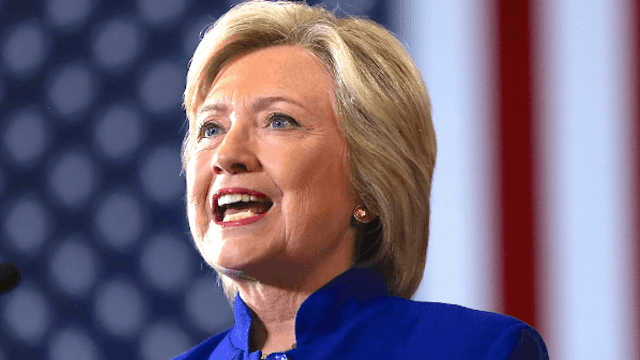 In May, Clinton also spoke at a Women for Women International event in New York, where she said that had the election been held on October 27, she would be president. She explained, "I take absolute personal responsibility. I was the candidate, I was the person who was on the ballot. I am very aware of the challenges, the problems, the shortfalls that we had." But she went on to say that she was "on the way to winning until a combination of Jim Comey's letter on October 28 and Russian WikiLeaks raised doubts in the minds of people who were inclined to vote for me and got scared off." She added, "The reason I believe we lost were the intervening events in the last 10 days." It's strange how Hillary Clinton is still being blamed for losing the election, and how angry people get when she tries to include any other factors into her loss besides her own apparent unlikeability. Is she just not supposed to talk about the letter former FBI head James Comey sent to Congress 11 days before the election that said the investigation into her emails was being reopened? So basically, that's what happened. It's still worth reading the book, though.